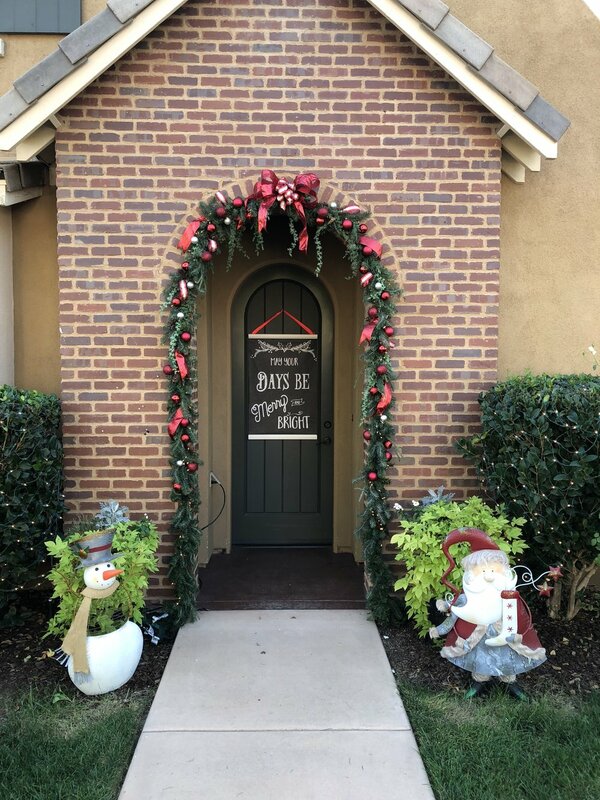 Its that time of year to start thinking about holiday decorating and we are offering custom holiday garlands again this year. 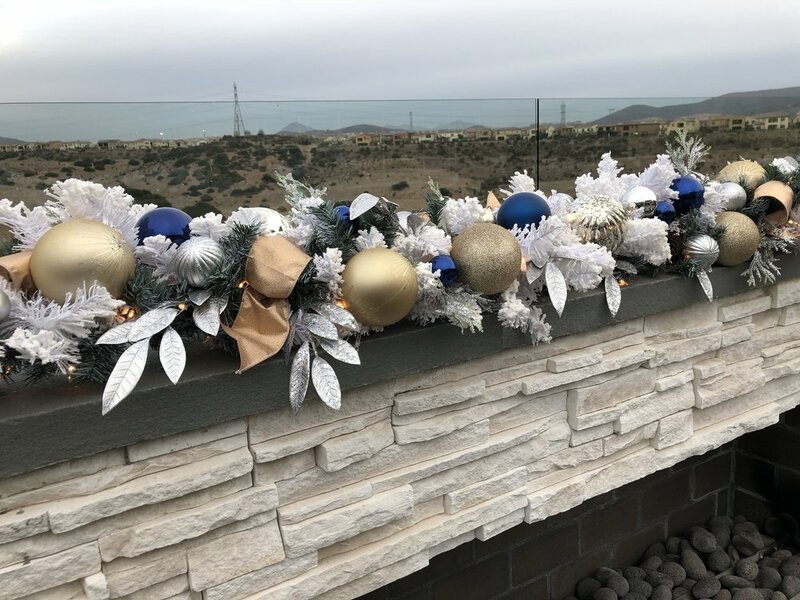 They are fully customizable and can be made in any size from mantles, to bannisters or outdoor decor. You can chose the colors and whether you would like it lit or unlit. Please contact us for more info! I can't believe my little baby is two, the past two years have been at times the hardest but also the best and without question the fastest of my life. We knew we needed to celebrate our little guy in style and what better way than with his favorite thing, dogs. I think he's must say doggie fifty times a day so I knew that this would have to be our theme. We held the party at the Helen Woodward Animal Center in Rancho Santa Fe, CA. They offer fantastic birthday programs through their education department. Parties there include animal presentations and use of their large covered education space. The space is equipped with plenty of banquet tables, picnic tables, and all of the kids favorite games and balls to play with. We got to chose four animals to interact with, for older children it would be a great opportunity to learn about the animals but with our toddler guests it was more of a point and pet situation. I can't recommend holding a birthday party at Helen Woodward enough. The palette of the party was classic black, white and red. I used different patterns and textures to keep it fun and childlike. I was really happy with how the backdrop turned out but unfortunately the space I placed it at the venue had light behind it which shined through the backdrop and definitely took away from the look. I took this as a learning experience to make sure that my backdrops always have enough of a backing to keep light from shining through. Sadly the light makes it hard to see the great mens suiting fabric I used as the main component of the backdrop. I also made the bunting in fun coordinating fabrics and of course a C to honor my little guy Carter. The party was mid morning so I knew I didn't need to serve a lot of food but I still wanted to have some snacks on hand besides cake and sweets. I decided to do a yogurt parfait bar. I figured it would be a healthy snack that both the kids and adults would enjoy. I also had a cheese and charcuterie board. All of the signage I made for the party kept with the original inspiration and I was particularly fond of how the yogurt cups turned out. Of course you can't have a birthday party without cake, so I turned to Mandy at Treat Confectionery http://www.treatconfectionery.com/ to make our cake. I sent her the dog silhouette and the cake turned out exactly how I wanted it, clean and modern. Last but not least we had to have party favors for all of our little guests. Keeping with the dog theme we had a puppy adoption. I made little party hats for all the puppies to wear and placed them in a little box full of shredded paper and newsprint just like a real puppy. Overall I was happy with how the party turned out. I only wish the venue allowed more set up time, we were only given thirty minutes of set up time which was very rushed and didn't let me tend to as many details as I normally would. The most important part was Carter loved it and so did all of our guests. December is almost here and that means it's time to start thinking about holiday parties. 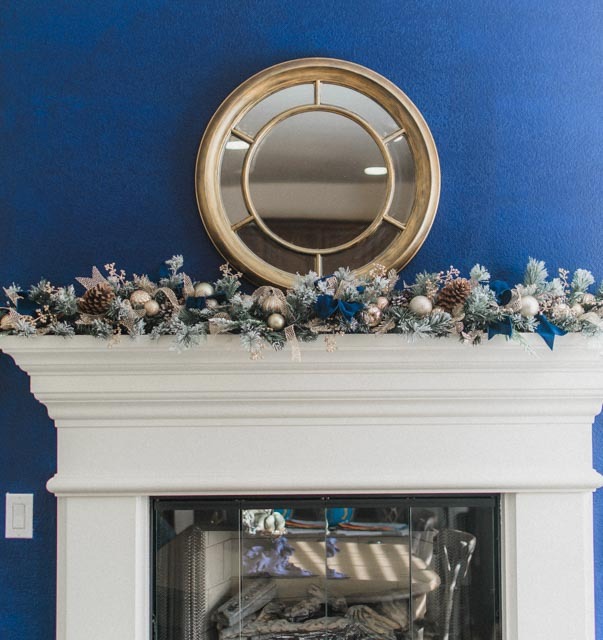 Whether your hosting a big party for friends or coworkers or just a small family get together, its important to give your party that festive holiday feel. 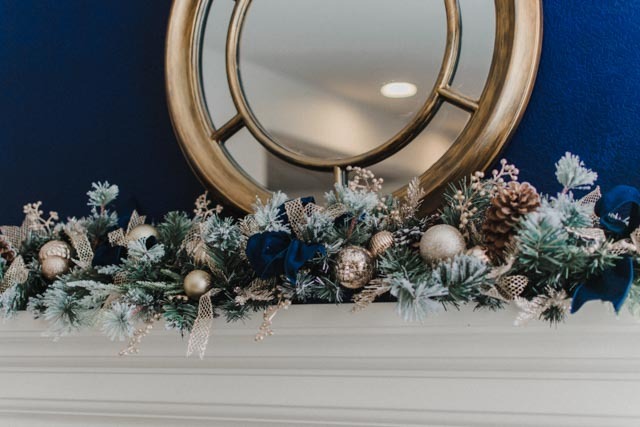 You don't have to spend a lot of money to make a great impact with holiday decor, every store sells it so that means there are a huge range of price points and products to pick from. 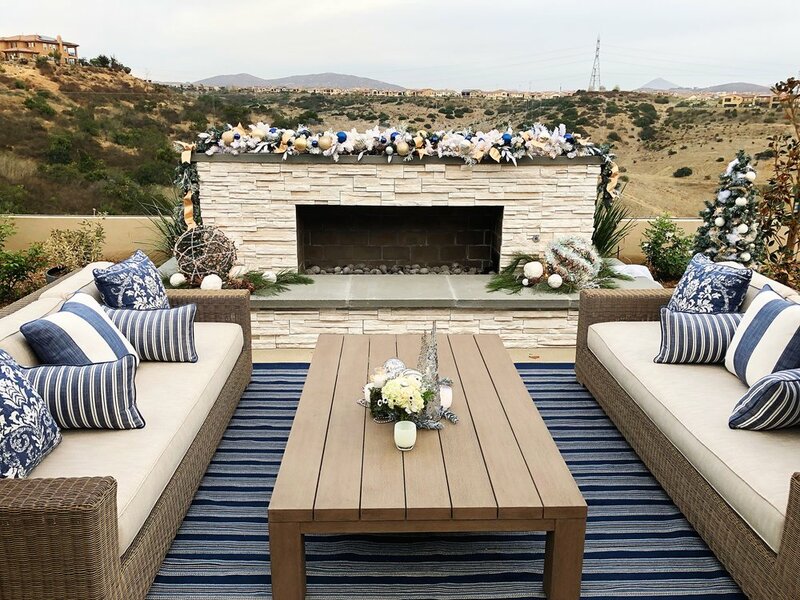 Whats also great about styling a holiday party is that most of us have decorations at home already that we use year after year which makes things easier and more affordable.